The European Nintendo Download Update details arrived a little later than normal, giving us a look at what to expect this week. It's a packed line-up, with lots of Minecraft storytelling, a well-regarded Wii re-release of a GameCube sequel, a number of 'Nindie' titles, discounts galore and more. It's a hefty list, so let's just get on with it. Teslapunk (klutzGames, €9.99 / £8.99) - This has the look of an old-school vertical shoot 'em up, as you fight off an invasion from Mars "led by Emperor Zangórax, who back on Mars is a popular DJ by night and a frantic invader by day". Fair enough. It looks rather promising, and beyond a six stage campaign it has a survival mode; we'll blast away for a review. 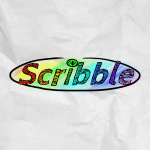 Scribble (Bear Box Media, €2.99 / £2.99) - This takes the core aspect of the equivalent Pictionary-based minigame in U Host and expands it across multiple modes. There are five modes and over 1500 words from 17 categories, with the option to also create your own words and contests; it's potentially ideal for the festive season. Breakout Defense (nuGAME, €7.00 / £7.00) - Based off the classic Breakout formula, this seems focused on two paddles competing against each other, as you take on the AI or a friend locally. That seems to be the overall selling point here. 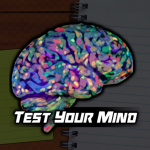 Test Your Mind (XenoHorizon, €1.99 / £1.99) - As the name suggests this is a compilation of puzzles and minigames to put your brain to the test, and naturally it supports two player action for some couch multiplayer. Ultimately we were rather unimpressed in our Test Your Mind review. 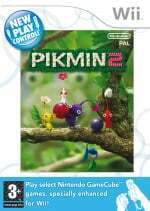 Pikmin 2 (Nintendo, €19.99 / £17.99) - This is the 'New Play Control' Wii version, utilising the Wii Remote's pointer capabilities. This release does now mean that the entire trilogy is available and playable on Wii U, which is a rather pleasing thing - we enjoyed this Wii version a lot in our original review. Minecraft: Story Mode - The Complete Adventure (Telltale Games, €34.99 / £28.99) - The chapters for this eventually made their way to the eShop in North America, though Europeans missed out; now the 'complete' adventure is arriving as a retail release in the region. Available from 16th December. Johnny Dynamite (Twofivesix, €1.49 / £1.29 until 5th January, normally €1.99 / £1.29) - This is a platformer with some retro style (courtesy of vertical levels) in which you collect and use dynamite to clear 54 stages. 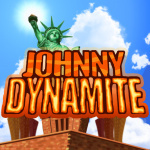 It also has a level creator with QR code distribution; it got a big 'meh, it's alright' from us in our Johnny Dynamite review. Demon's Crest (Capcom, €7.99 / £7.19) - Firebrand the Gargoyle features here, and needs to recover elemental stones before his enemy, Phalanx. It's dramatic stuff, and this SNES action platformer also gives you freedom in stage order along with some ability to explore. We liked it a lot in our review. I'll be grabbing free SMT DLC, providing my game turns up. There's discounts at least. Soul Axiom at half price is tempting, though I think it will go lower in future. I'll definitely buy a digital copy of The Book of Unwritten Tales 2 to go along with the physical version I own. Other than that I already own pretty much everything else there worth buying. Ubisoft helped pad out the discount section, it would be nice for Nintendo to give us some discounts on their games next week. You know, the Season of giving and all that. There's a little holiday called Christmas coming up. Whoa nelly, that's a lot of discounts. I recommend Child of Light and Rayman Legends to anyone who doesn't have it yet! Would pick up Pikmin 2 but not at this price. Definitely worth picking up both Assassins Creed titles discounted if you haven't already. Incredible games. Does anybody know whether Ubisoft has ever put its DLC on sale? I've completed the main story in AC3 and want to buy the Washington expansion, but it costs £25, three times the price of the game with the discount! Good luck trying to get it cheaper. Watchdogs any good on Wii U? The newly released one looks quite nice for the stealthy gameplay? AVGN Adventures, neato! This might be the time I actually pick it up. On both consoles, against all common sense. Never played a Telltale game, maybe i will buy Minecraft Story Mode... Is this maybe the final retail 3rd party game for Wii U? 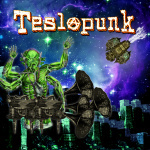 Will check out Teslapunk; always up for some old school shm'up goodness. Also 1 or 2 Wii U eShop discounts intrigue me. My biggest worry is next week if any good Wii U eShop sales last only a week as I'll miss them due to lack of access to my Wii U for a week. 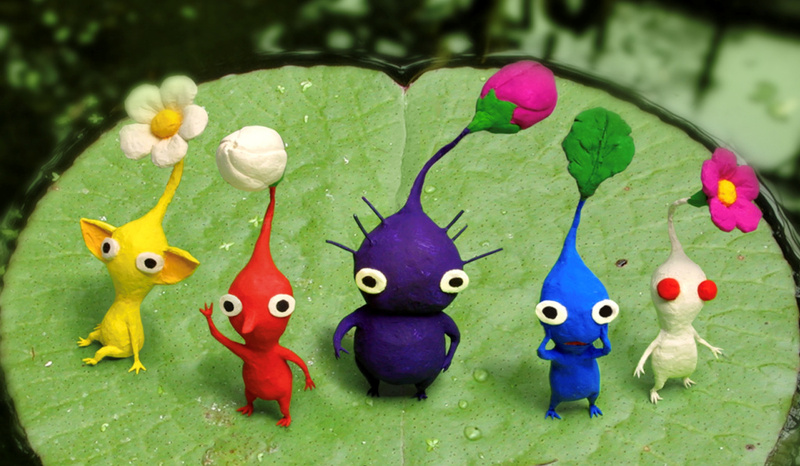 Pikmin 2 is very tempting. I had the opportunity to buy it brand new on eBay a few years ago for €20 and unfortunately didn't, now it's up to impossible to get and costs about €100. I would have bought it at the time if I had played Pikmin 1 with New Play Controls as I didn't realise how well it works with Wii. I'll be picking up Demon's Crest for my New Nintendo 3DS XL. Niiiiiice! Definitely Legend of Kay and The Book of Unwritten Tales 2. Hard to pass them up at that price . Also Assassins Creed IV, missed it the last time it was on sale. That should net me 90 gold points I can spend on nothing. Might even get Watchdogs too but not this week. Technically the Pikmin trilogy was already playable on the Wii U before this, as you could use the Wii games... although due to their rarity, this is a far cheaper option. I am vaguely tempted by some of the discounted games that have seen physical release... but I know that I could get the physical copies cheaper preowned. I'll grab the free SMT4A and 7th Dragon DLC. I kind of wish I bought copies of the Wii versions of Pikmin seeing as their value is shooting up. I seen them numerous times for dirt cheap but never paid them any notice as I already owned and played them on Gamecube. I'll take Book of Unwritten Tales 2 at that price. Nothing else seem to catch my eye. Nothing for me this week. I have Pikmin 3, but haven't got round to playing it. I may as well play that first before even thinking about Pikmin 2. @Mart1ndo you will be able to get the physical version cheaper now because the price will plummet..same thing happened when the digital version of Xenoblade got released. Great price for Book of Unwritten Tales 2. But doesn't it have that unfixed savegame bug? Reviews on amazon.de are really bad. 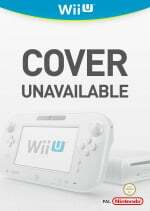 Goes to show Nintendo is out of touch with its pricing. Pikmin 2 costs 40€-50€ and above on eBay. Why only 20€ on the eShop!? Demon's Crest... Maybe not this week but someday definitely. @Mart1ndo Already have it physical lol. Would have been interested in it because I'd get to skip the "find game and put it into console" part since Pikmin 2 is one of my faves and I play it fairly regularly. Please have Pikmin 2 come to NA. For that price I'll finally give Watch Dogs a chance! Never had any hype for that game, so hopefully I won't be dissappointed Can absolutely recommend Splinter Cell Blacklist, AC IV and Child of Light, especially at these prices! Are ANY of those 3DS discounted games any good? Nintendo Europe are on a three week VC roll. F Zero X update, Excitebike 64 and now Pikmin 2. Will it continue for a fourth week? Assassins Creed 3 is free from Ubi on PC this month if you have a UPlay account. Though it's probably US only, I don't know, sorry. Ambition of the Slimes sounds good. @Moon A-Train 3D is amazing, not sorry about paying full price. Might finally dive in on a KEMCO game. They always looked like fun in a pulp-JRPG sort of way but are a bit too high priced for me to randomly grab. Kutar End Credits sounds like a must-play. @ThomasBW84 the introductory discount price for Johnny Dynamite looks a bit suspect...? I read Pikmin 2 on the eshop... then I read Europe. I'm kicking myself for selling that game back years ago. It's hard to find nowadays, and it's pretty expensive to boot. Was hoping I could at least get a eshop release at some point, as it'd be cheaper than buying the game used. Oh well. Blacklist is a good game for £6! Only worth one playthrough though..... at least with physical I can dump the game once I am finished and over the Wow-factor of playing a 3rd party on Wii U. Lot of great prices on Wii U software. Gonna pick up Soul Axiom! Minecraft Story and one of the Wii U discount games and maybe pikmin 2 for me this week. I'll just wait and see if Pikmin 2 comes to Switch. "Mr Miyamoto will be available from December 9th until December 26th, and Mr Tezuka will follow on from December 27th until January 15th." @LemonSlice £9.99 good? £9.99 can go a long way for buying a game. I'll grab the last of the free 7th Dragon DLC, and maybe Child of Light. I am not European, but I really want to know what the heck are those themes about. Why does my birthday have to be December 30th. Very conflicted I've heard mixed things about blacklist so I never got it. I may finally pick up rayman legends. @gortsi Your best bet would probably be getting a £25 eShop card/code on the cheap, like getting a loyalty discount from a store like Game. I dunno why, but the Kutar games are strangely enticing. I wonder which to pick. @Tisteg80 Yes I read that too, its the only one I am interested in. I wonder if the glitch happens to everybody? @Cantisque [A-Train 3D is] £20 good (it is a full price retail game in Japan), but isn't for someone who dislikes strategic sims. It is very deep and complex, probably the best of it's kind released on the 3DS, which sadly lacks both SimCity and Civilization games the DS had, and it's RollerCoaster Tycoon is utter crap. If you're intrigued, go for it; but don't expect to immediately like it if you're new to the genre. What's this "Amanojaku" theme? oO The man-beast manga/anime hero? how long until the discounts go live? It is already 15th and the prices are the same.